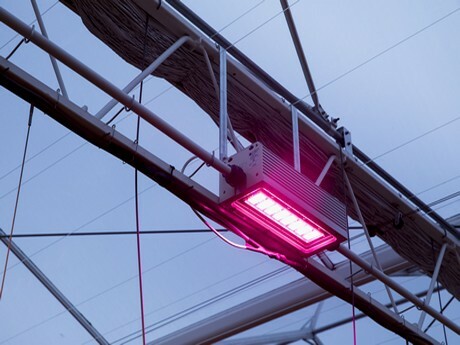 Oreon, Dutch-based innovative developer of high-end LED grow lights, presents its new fixture at the Fruit Logistica exhibition in Berlin, Germany. This latest model produces a light output up to 2080 μMol/s with an efficiency of 3.1 μMol/J. The Oreon Grow Light 3.0 is therefore one of the most efficient high output LED fixtures in the market. The water-cooled Oreon Grow Light 3.0 has a light output of 2080 μMol/s and a power consumption of only 670W. This means 15% more light output and a 15% efficiency improvement compared to the previous generation. This LED fixture can easily replace even the best HPS fixtures in the market, while producing almost 10% more light and saving 40% energy. Compared to other LED fixtures, the Oreon Grow Light 3.0 is extremely powerful, resulting in less required fixtures. This saves on installation cost, but more importantly — less natural sunlight is blocked. Oreon LED fixtures operate on an active water-cooling system which comes with a number of advantages. There is no radiation heat from the lamps, resulting in a more stable climate and making it easier to maintain greenhouse temperature and CO2 levels. 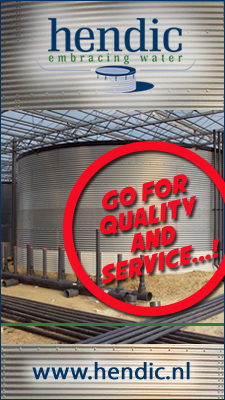 An extra economic advantage is the opportunity to reuse the recovered energy. Additionally, the active water cooling ensures a low fixture operating temperature which benefits both the light output and the lifetime of the driver and LEDs. This latest model retains all of the qualities and characteristics that makes the Oreon Grow Light so popular, from its rugged design, glass LED cover and IP67, to its low operating temperature and easiness to maintain. The new 3.0 model is suitable for voltages ranging from 200V up to 480V, making it ideal for all types of electrical installations. The Oreon Grow Light 3.0 is available in a broad range of light spectra and comes with different lenses that result in either a wide or narrow beam angle to give the best uniformity on the crop. Oreon will be exhibiting at the Fruit Logistica from the 6th till the 8th of February 2019 in hall 3.2, stand C-26.